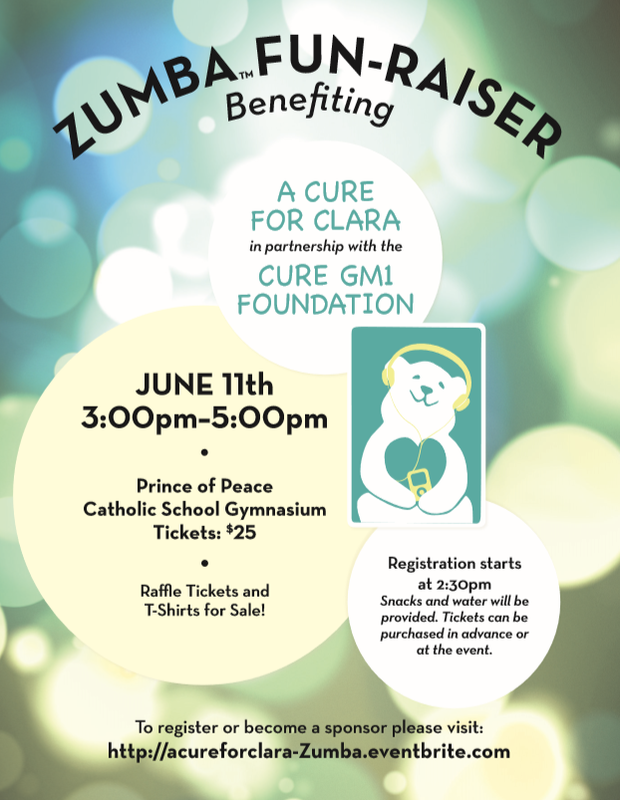 Please join us on June 11th, for our Zumba FUN-raiser to help raise funds for the Cure GM1 Foundation! Click here for more details and to purchase tickets online! 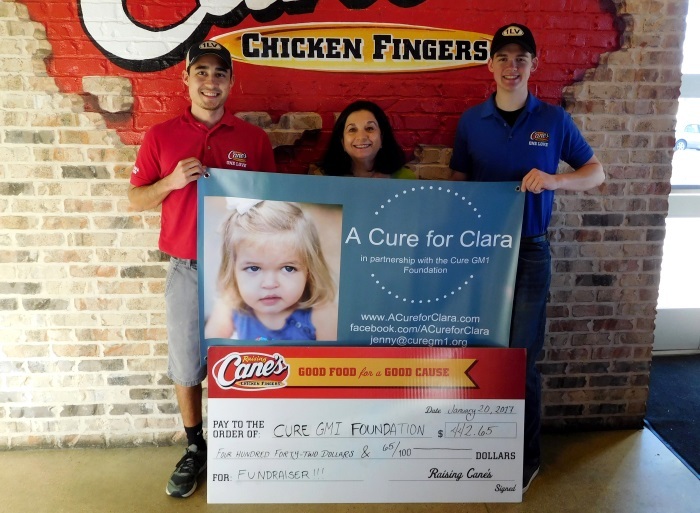 For the most up-to-date information on current fundraisers and events, please visit Clara’s Facebook page at A Cure for Clara.